Regional: Robbie in Bloomsday (35below Asheville); George Gibbs in Our Town, Sweeney Todd in Sweeney Todd, West Side Story (Matthews Playhouse); Sweet Charity, Hairspray, The Drowsy Chaperone (Theatre Charlotte). Education/Other: BA in Dramatic Art and Economic Development, UNC-Chapel Hill Class of 2019. 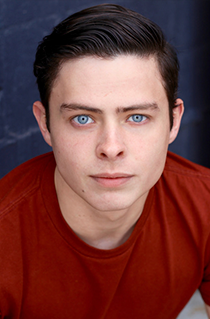 Connor is a Producing Director of Kenan Theatre Company.